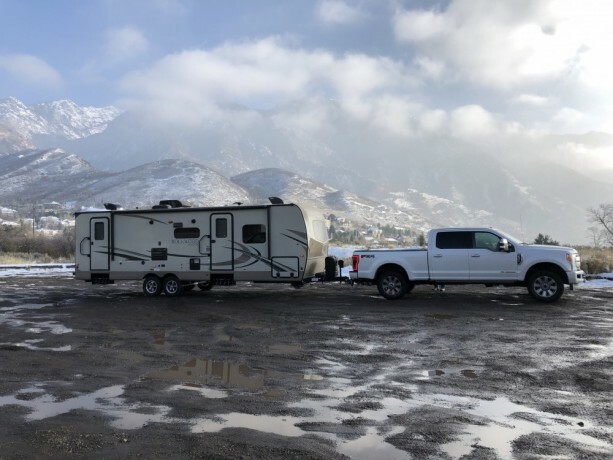 It's time to enjoy all the amenities at home in your next travel trailer. 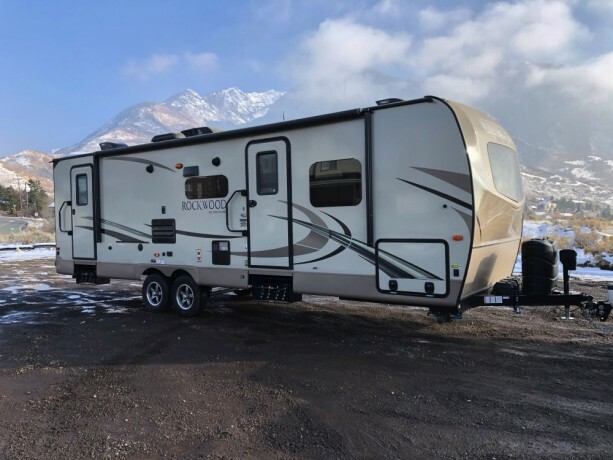 This Rockwood Ultra Lite 2702WS travel trailer by Forest River offers an excellent kitchen to make all your favorite camp meals. 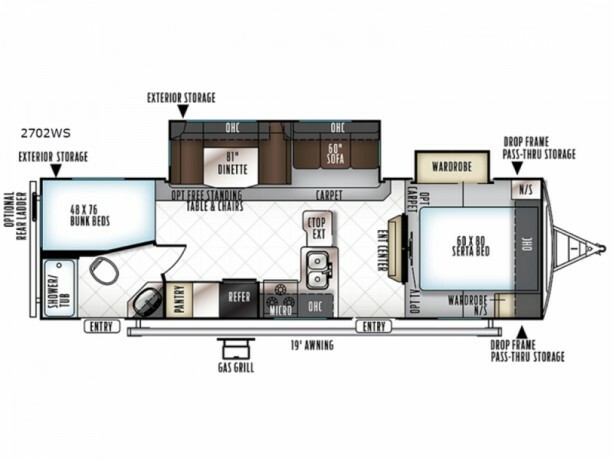 In the main living area there is a slide out with a hide a bed sofa and a 44" dinette. 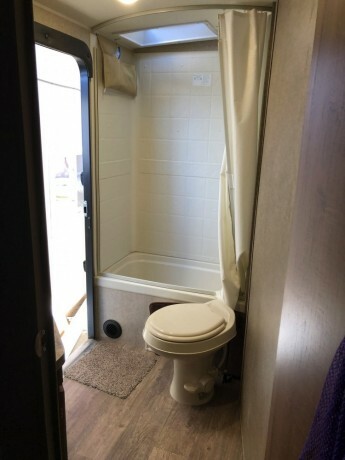 There are many overhead cabinets throughout the trailer to pack all your camping items, as well as exterior storage compartments. 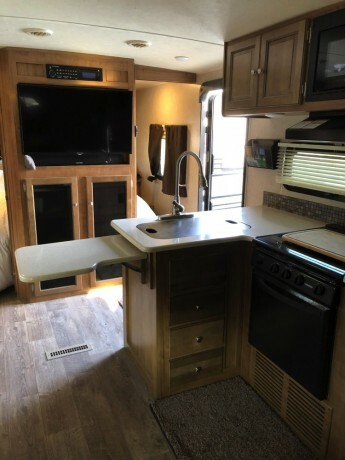 Relax in the shade of the awning, and enjoy your new travel trailer where ever you choose! 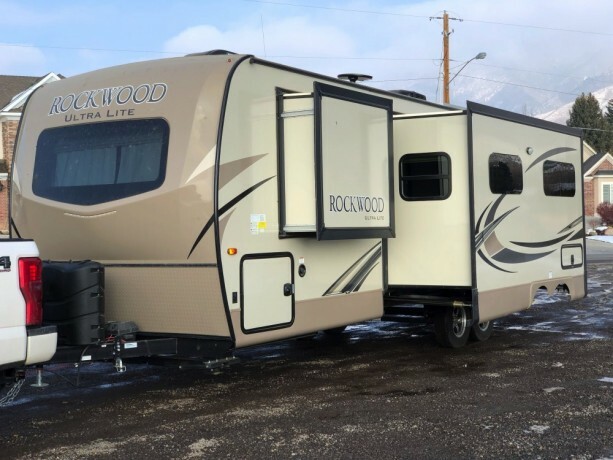 The Rockwood 2702WS has a full aluminum frame and laminated fiberglass sidewalls. 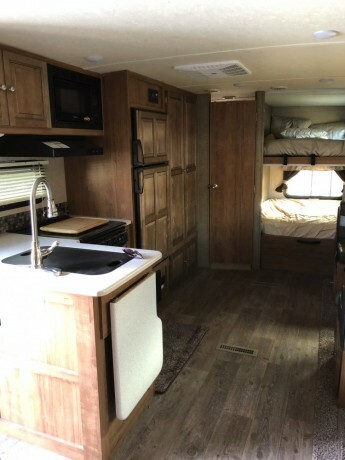 This unite has a great wide open floorplan with a fully equipped kitchen and comfortable seating. 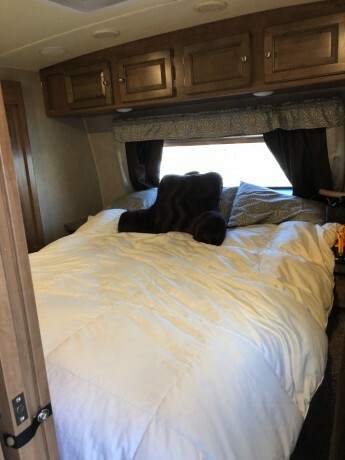 The oversized rear bunks offer great separation from the front bedroom. 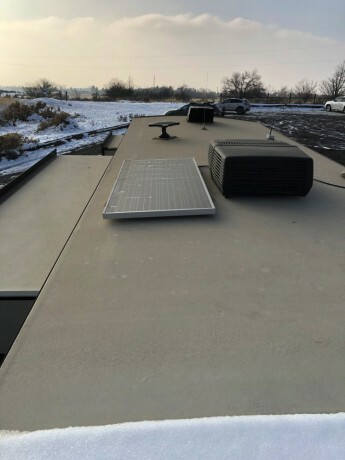 To keep you cool on a warm day both types of units have 13,500 BTU A/C units and to warm you up on a cooler day, there is a quick recovery auto ignition gas/electric water heater for a hot shower. Solar panel added which is great for boon docking!